Rogue Country has thousands of square miles of secluded deciduous and old growth forests with hundreds of miles of trail system. Much is high country, however coastal and ocean beach trails are also numerous. Native Wildlife and forest plants keep you company in your travels on hidden trails. Horseback ride the mountain trails with old growth forest and cold as ice springs. Visit remote streams and mountain lakes, canyons that are fern and covered. View Pacific Ocean vistas and secluded beaches. And we don’t want to forget the traveled roads if you are looking for a horseback ride along Hwy. 101 or maybe through the back roads. 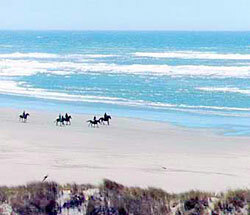 Rogue Country offer much to the horseback traveler who chooses a different path, one less traveled. Here-in we will give you the information needed to plan your back to nature hiking, biking or horseback trail information. Depending on the time of year there may be snow in the higher elevations. It is always best to map out your plan before you go. Check references with the agency that controls the forest you will be traveling in for travel info; such as rules, regulation, fees, etc. Be sure to leave your traveling itinerary with someone, if you don’t show up on time, people will know where to start looking. 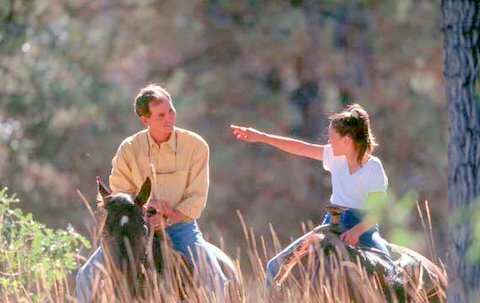 There are many choices for the horseback rider, taking your own horses on one of many trails from U.S. Forest Service and BLM riding trails is a great choice, there are many options. There are rules in place to protect Back Country areas from noxious weeds; if you plan to bring your horses please review the rules found in the Horseback Riding links listed. 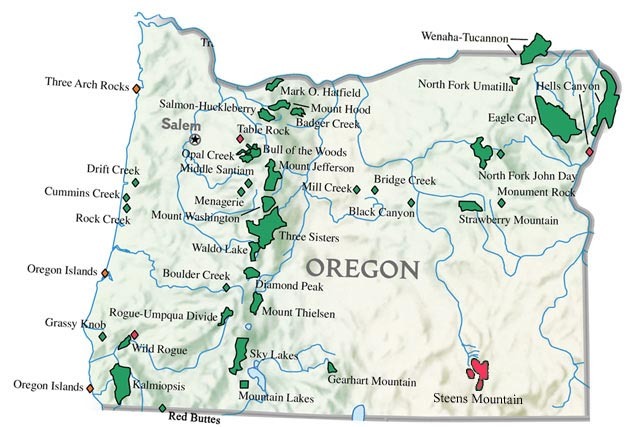 Rogue River National Forest, which is the managing agency for much of the mountain forest lands of the Upper region. The Cascade Siskiyou National Monument is managed by the BLM. A visit to their web site will explain the diverse area encompassed in the area, including recreational opportunities. Trails in the Middle Rogue will be accessed from one of the links below. This area is especially strong in botanical and geological assets. The Rogue River Trail continues into the Lower Rogue region and as it does it changes federal managing agencies going from BLM to US Forrest Service. A great hike. There is also the Illinois Trail which follows the Illinois River through the Illinois Wilderness from the Illinois Valley near Selma to the Oak Flat Trail head 2.5 miles from the town of Agness.